Main Forum Upcoming Meeting An... FEBRUARY MEETING! Bio: Christine Keys is a microbiologist that has been involved with fishkeeping most of her life. Even as a child her parents kept a fish tank in her bedroom. She has always kept a few fishtanks on her own since highschool, and would regularily haul them back and forth from home to the dorm during college. After moving to Maryland, she started keeping fish again and quickly expanded from one to thirty five tanks. During this time she joined several clubs in the DC metro area, and has served in several board positions with the Capital Cichlid Association. 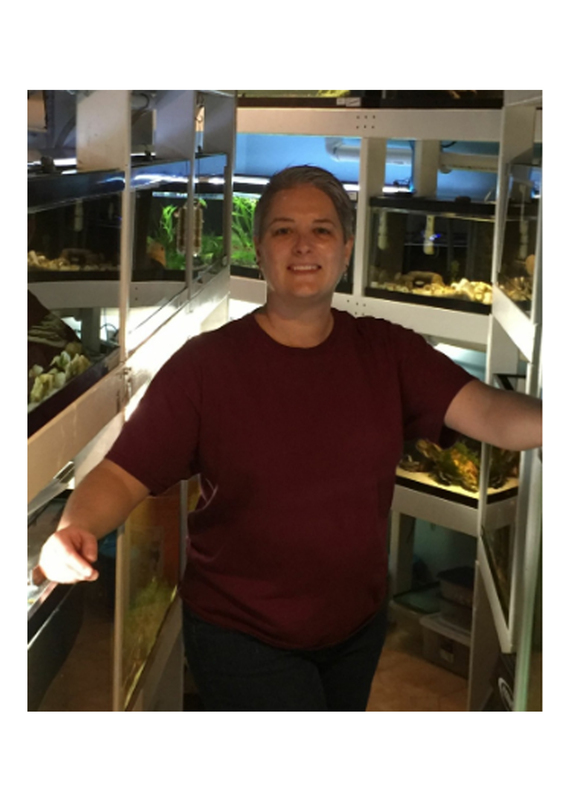 She and her husband, recently moved to a new house where she was able to have a dedicated fishroom with a capacity of almost 60 tanks. Although she has a soft spot for cichlids, all freshwater fish are welcome in her fishroom.